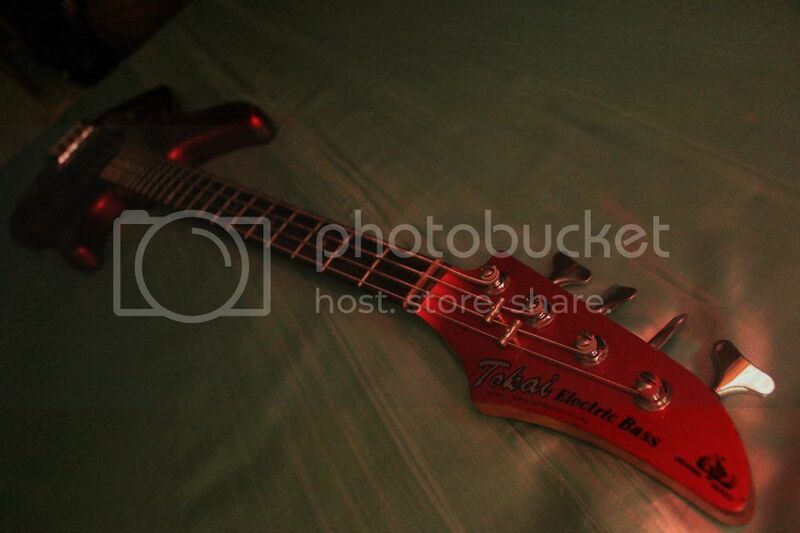 Tokai Forum - a subsidiary of TokaiRegistry.com :: View topic - Post your Tokai bass pics, please! 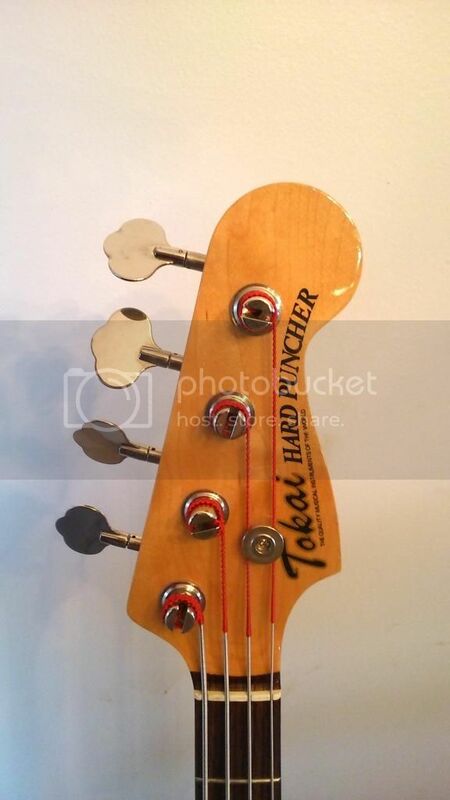 Post your Tokai bass pics, please! Bought it from a friend in the early 90's. 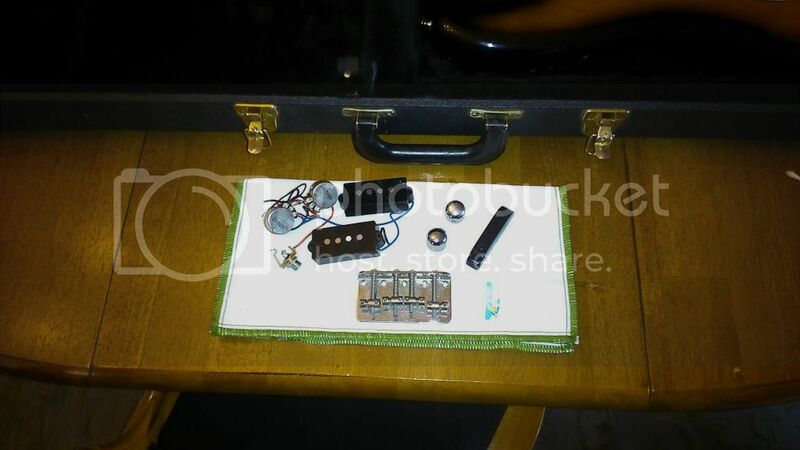 I have put in new bridge, active pick-ups, knobs, and electronics over the years but still kept all the original stuff. the serial number is 109109 but a previous owner engraved another number on the back plate for reasons unknown to me. 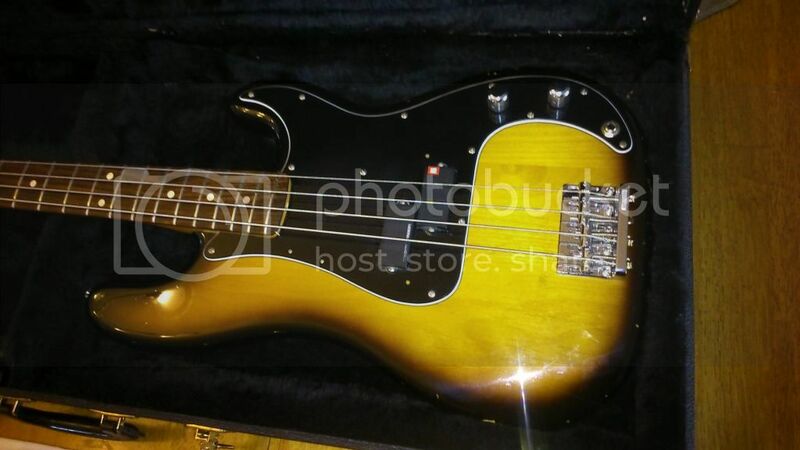 Looks like it has a tobacco sunburst finish. Dunno the date of manufacture. 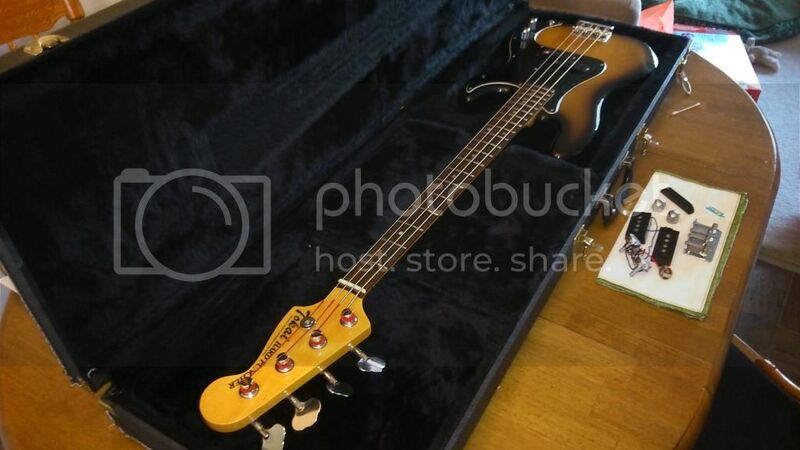 She is really wonderful to play, my favorite bass. 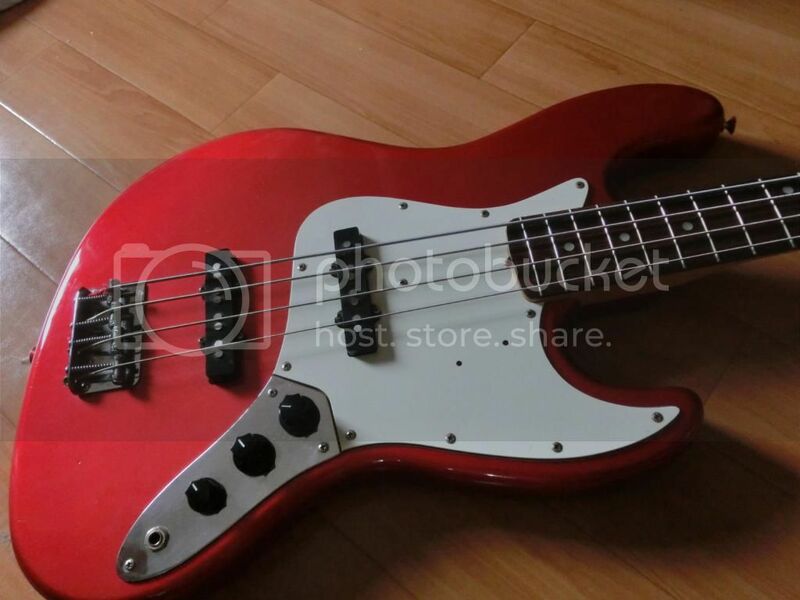 I just got my first Tokai bass. A 1981 Jazz Sound. 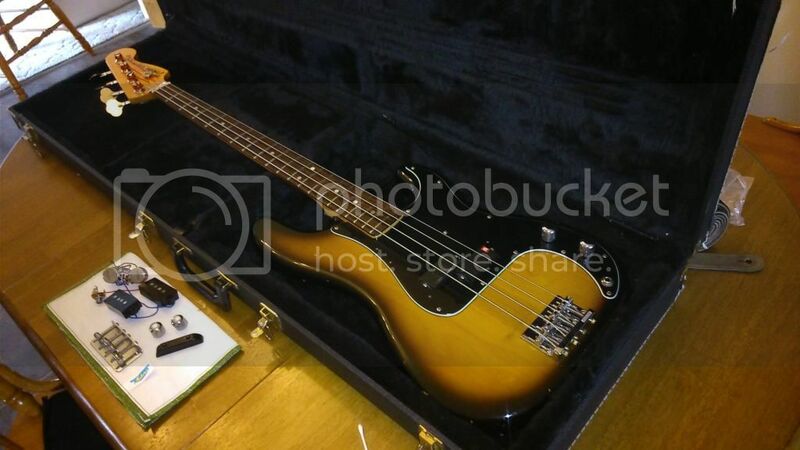 The seller is calling it a JB-45R. Not sure if that's right or not? 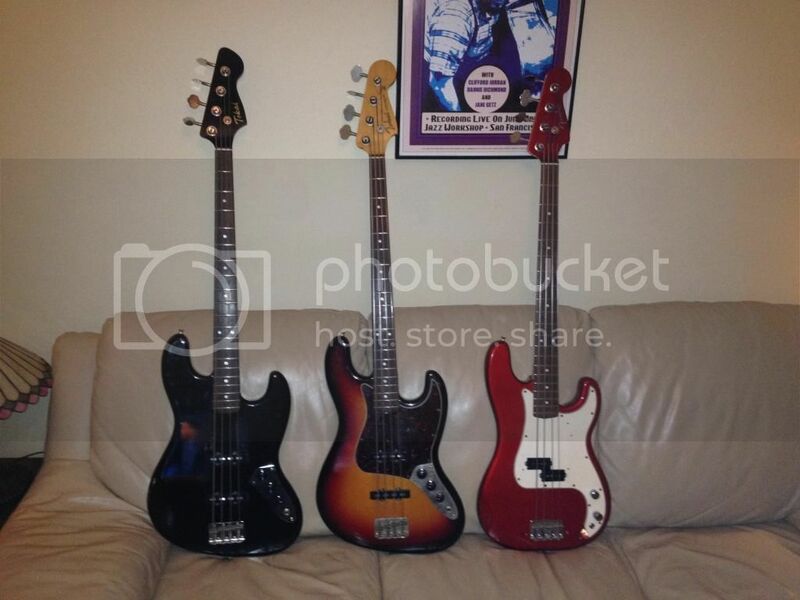 I am not a bass player, I'm a guitarist, but somehow I have 3 basses now. LOL. Here are some pics. Would love to have feedback. It's shipping from Japan so I haven't laid hands on it yet. nice hard puncher dedsonrob! !, do not forget to keep the original accessories. 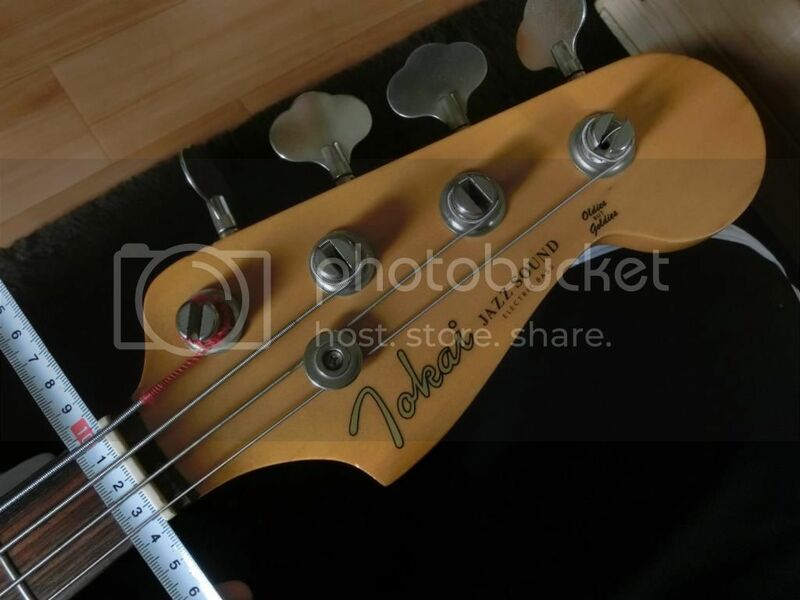 hi all I have interest in learning more about my bass guitar which apparently is a tokai jb85 fretless, I hope someone will share information. Hey sigmania! 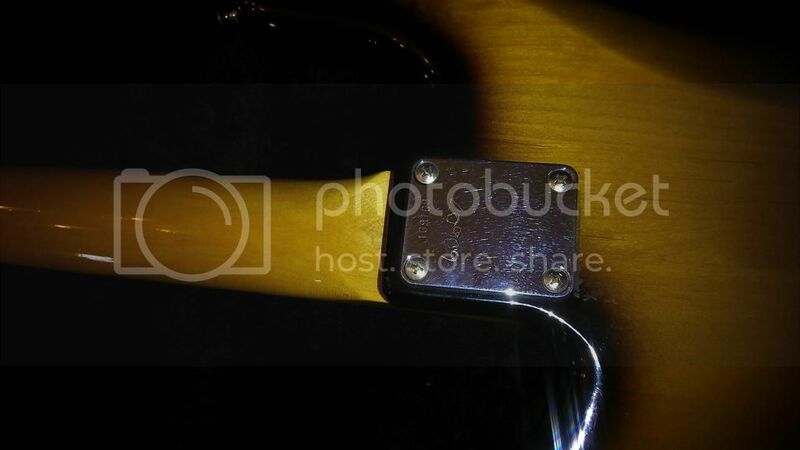 I have a tjb70 jacco and does not have the label on the back of the neck , but if you look closely with a flashlight from multiple angles may be able to discover if there was saying 70 , try it , cheers! Thanks! 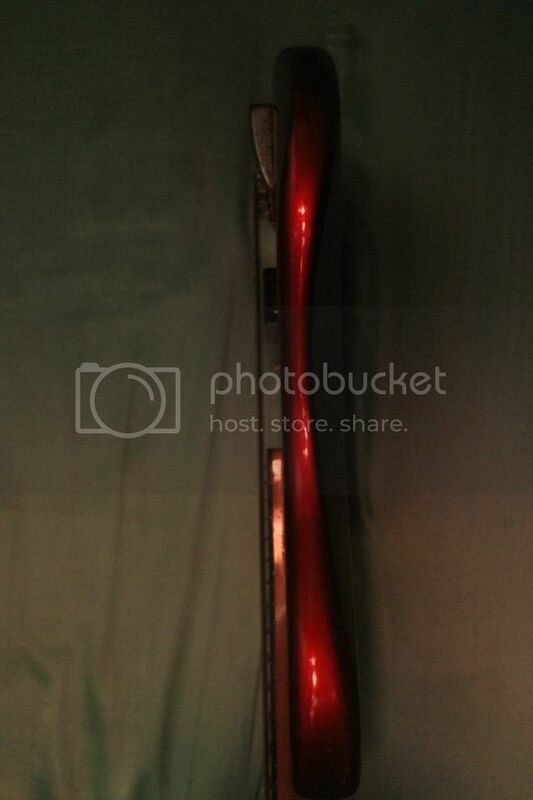 Will have a look once it gets here. Will keep you posted. 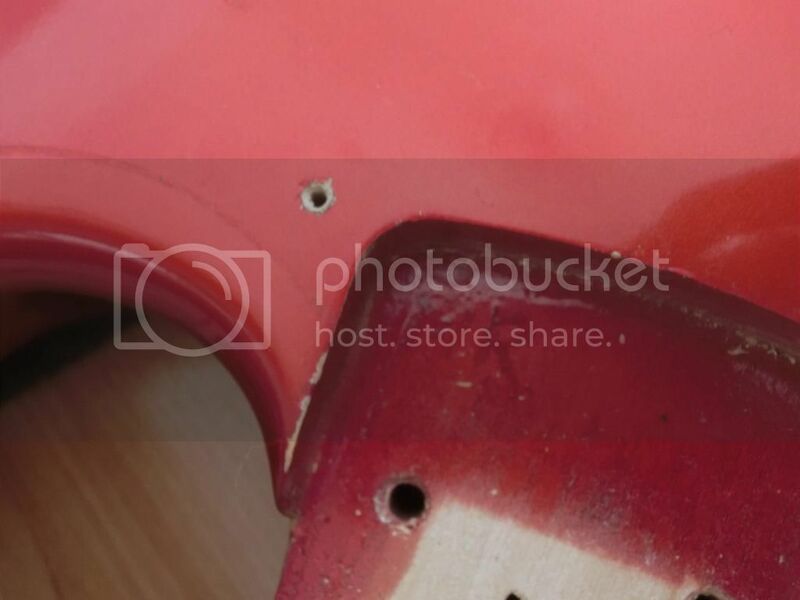 Hey Sigmania, Might show your pickups without the cover ? 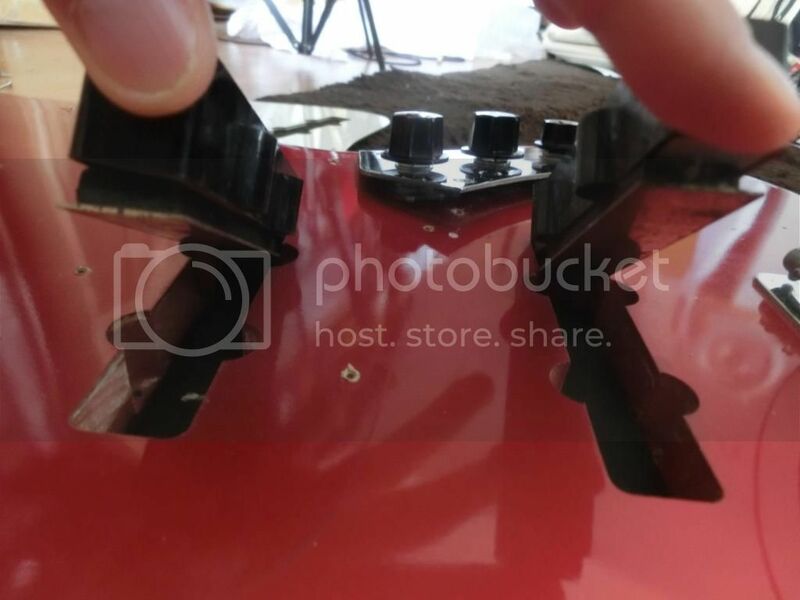 I have a question regarding my jb70 pickups , thanks. 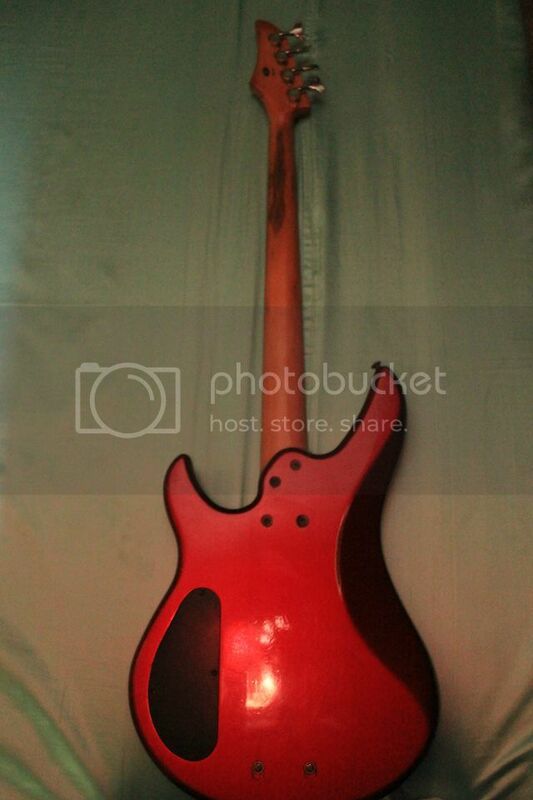 Hi marsel, I just got the bass yesterday. 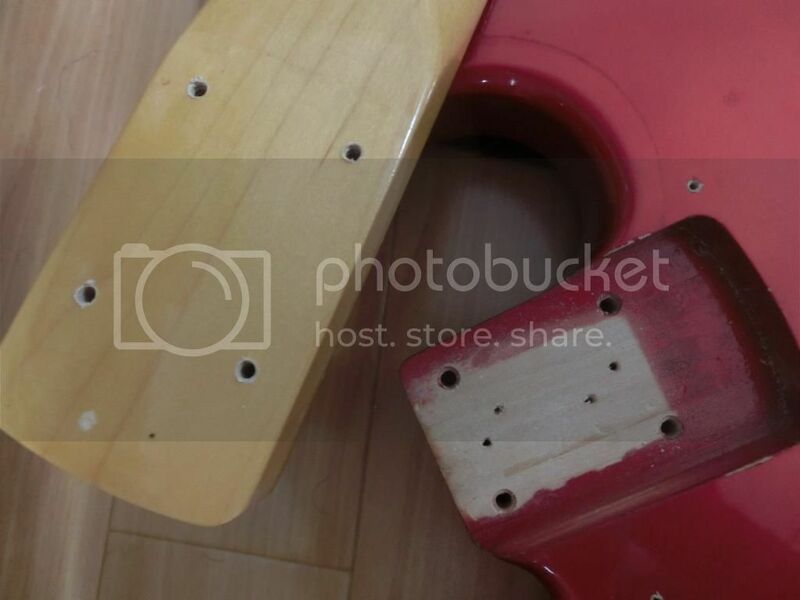 When I switch out the strings I can photograph the pickups for you. 1981 ST80 and 1981 Jazz Sound (unsure of model so far). someone can give me the date with this number ? thanks ! Here is my contribution! 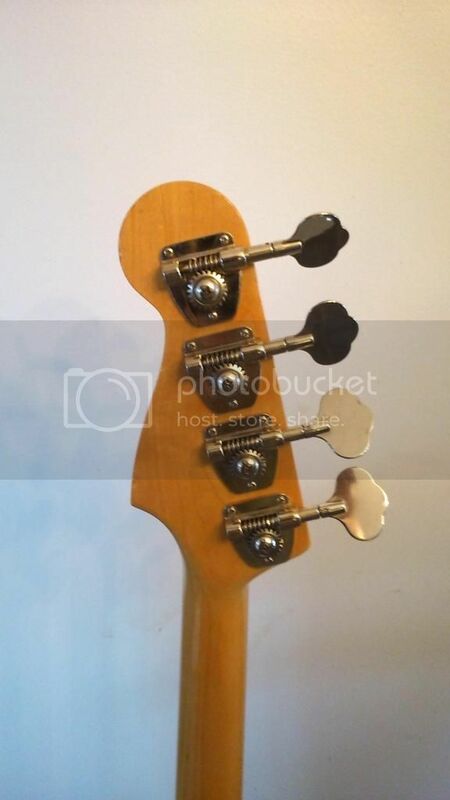 I just started a thread to date the 3 basses, so I am not sure on the age yet. 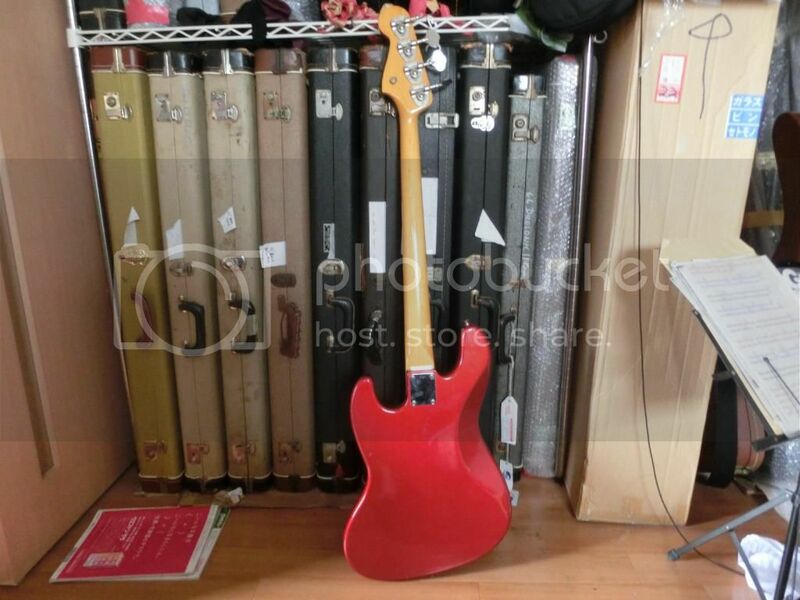 The pbass with the Fender logo is a parts monster with a 70's Fernandes body from the same factory as the Tokai's. Was used for 5 years, was stored away for the last 25 years and was found by me. Polished, Flatwound SS GHS 3050 strings, height set & intonated. Looks and plays like a new one. Very very nice. 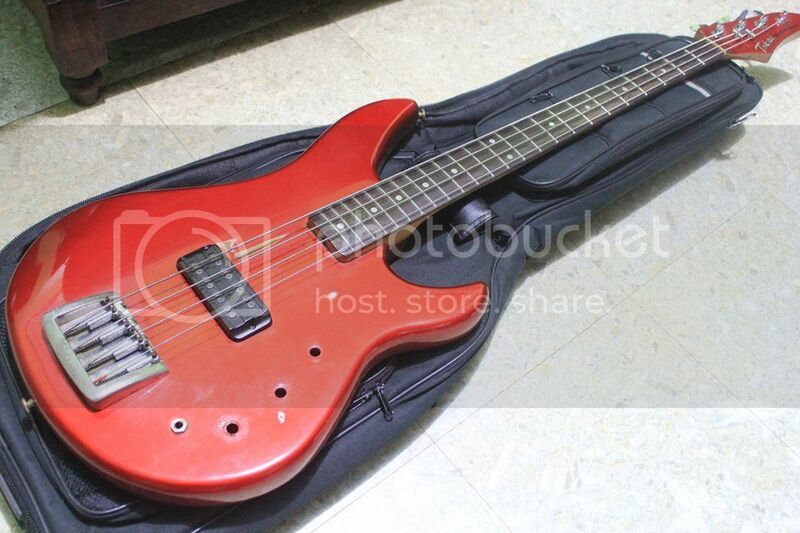 I have a nice 2006 Yamaha fretless and the Tokai plays noticeably better. Who's drive'n this train ? ?....Who's Casey Jones ?? Hi everyone, this is my most recent barn find. Well actually it has been in my own barn (!) for years. 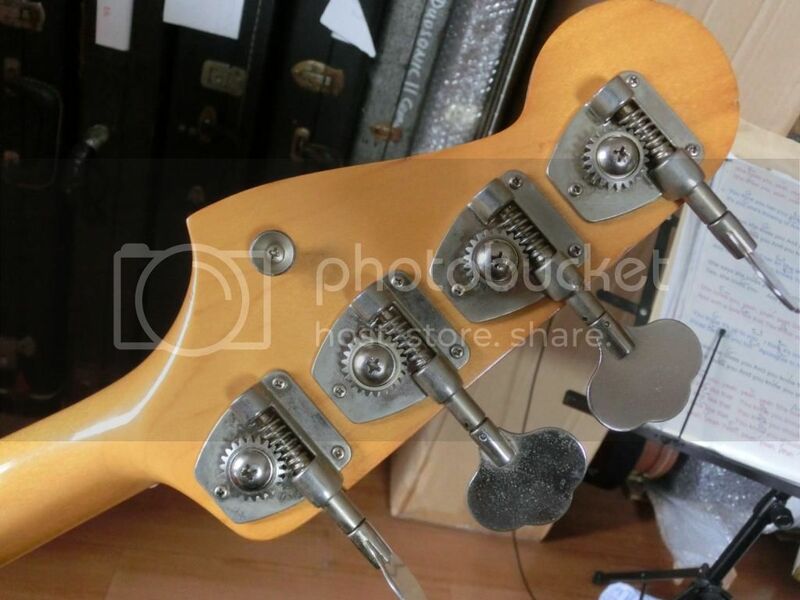 Someone recently mentionned the wonders of the MIJ Pbass copies. I never played that bass that was given to me a long time ago as I did my career so far with high end american and european basses. 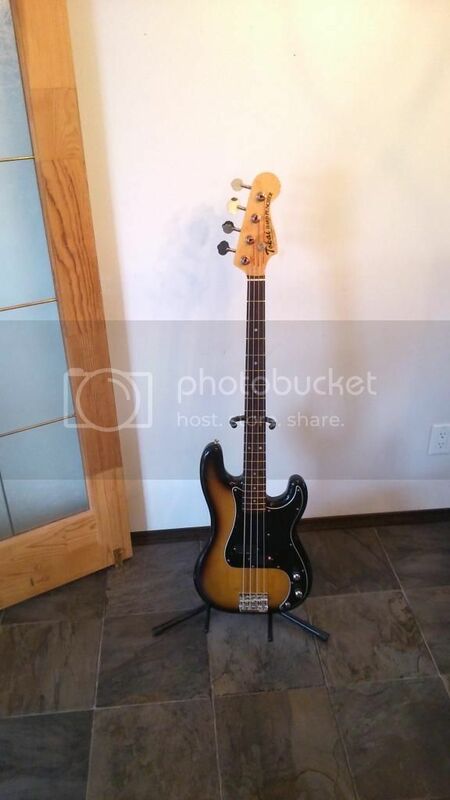 When a Pbass sound was needed, I'd borrow one. 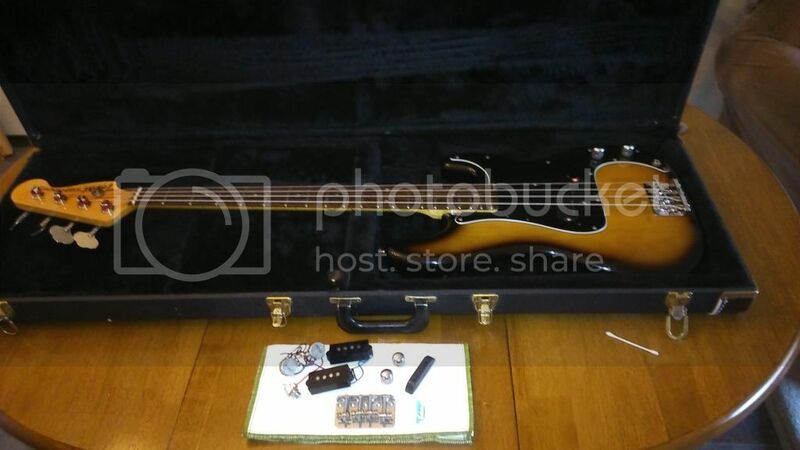 Well not anymore as this 3,8 Kg Tokai just sounds beautiful. Back of the neck with original "80" and "Made in Japan" stickers, L+5 digits serial number and a mysterious handcarved "20". Close up on the body. 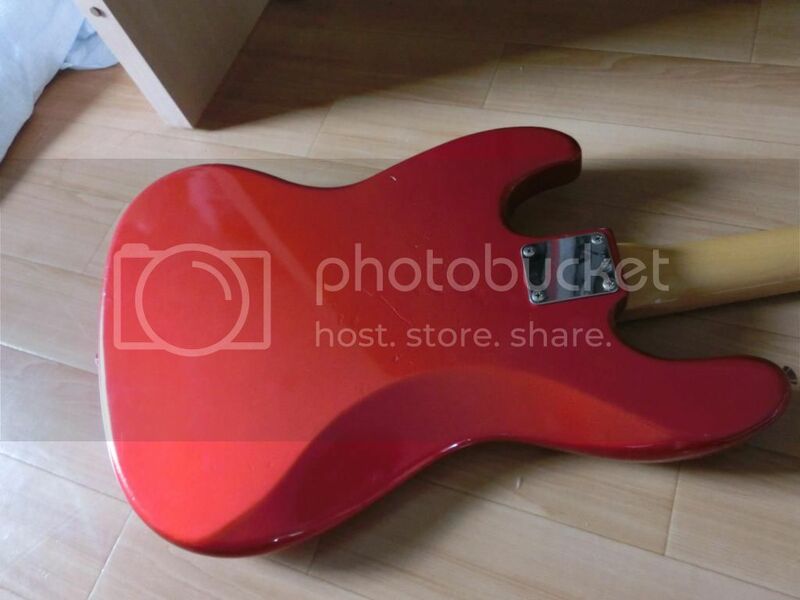 So far I haven't seen any pictures of a Black PB80 with a white pickguard. 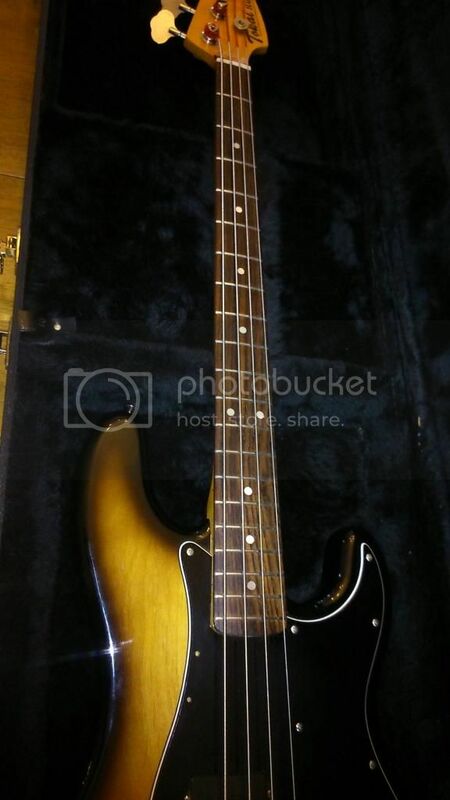 I'm wondering if this 3 (B/W/B) layer pickguard is original, it looks as if it is as old as the bass though. 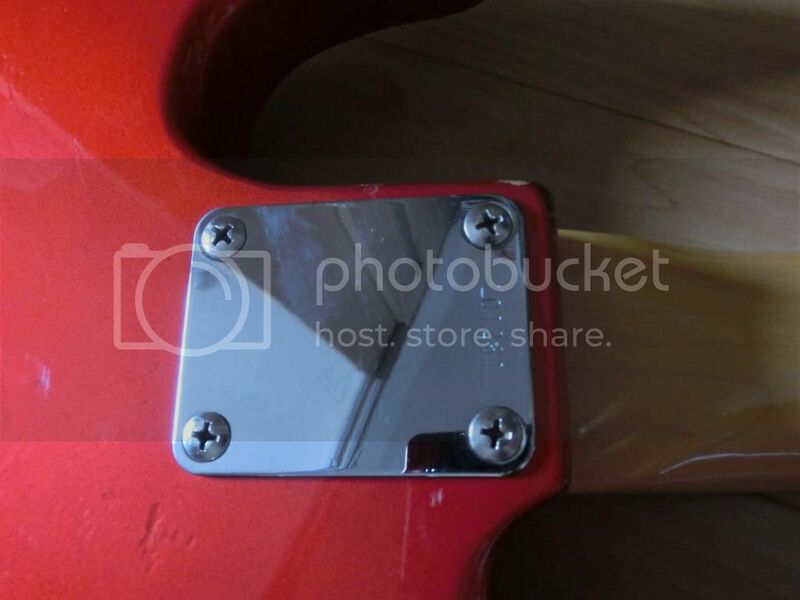 It has screw holes for the mute and for the finger rest while the body doesn't. 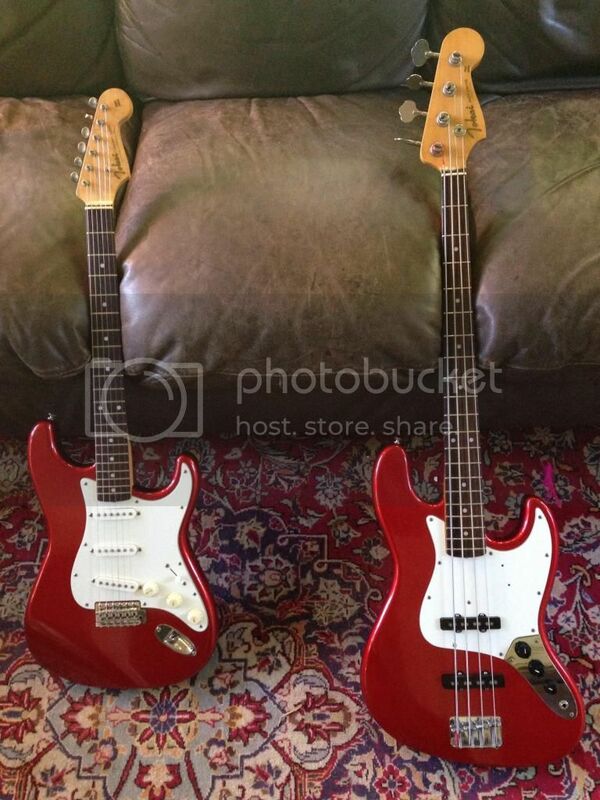 Was it standart on these basses ? 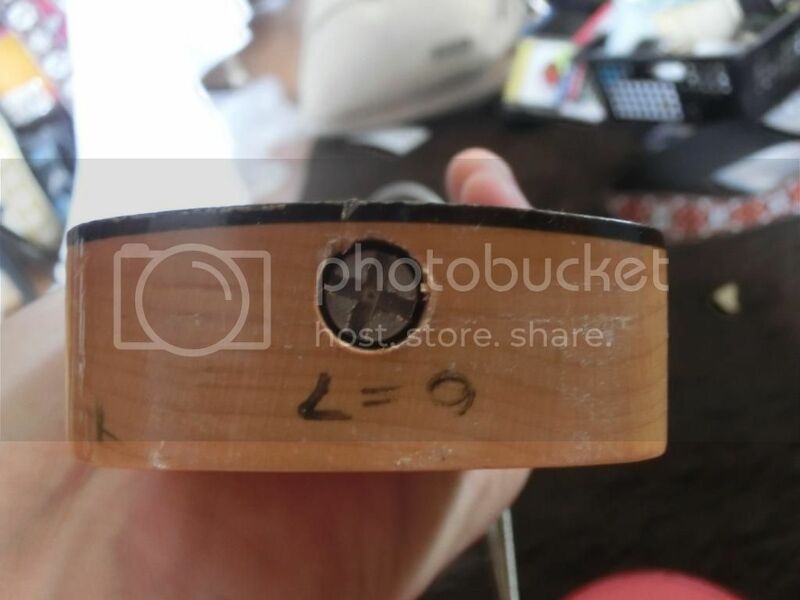 I noticed on the 84 catalog that they indeed have holes for the mute but couldn't see if they also had holes for the finger rest. Does anyone have more info ? 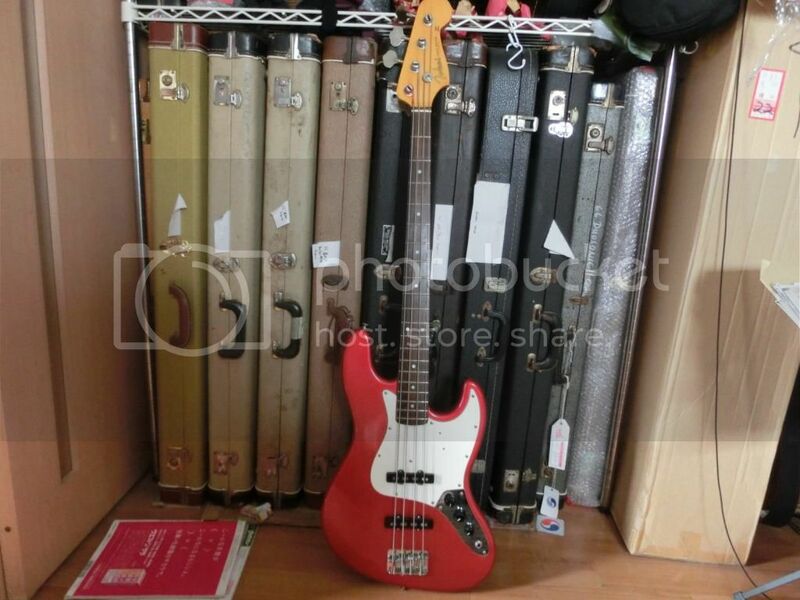 TPB-80VR made in 1984 that is a copy of a Fender 1960 Pbass, and was sold at the time for 80.000 yens.